‘Ballade in Blue’ is a special performance for the Florida Lakes Symphony Orchestra and its co-founder, Audrey Sanders. 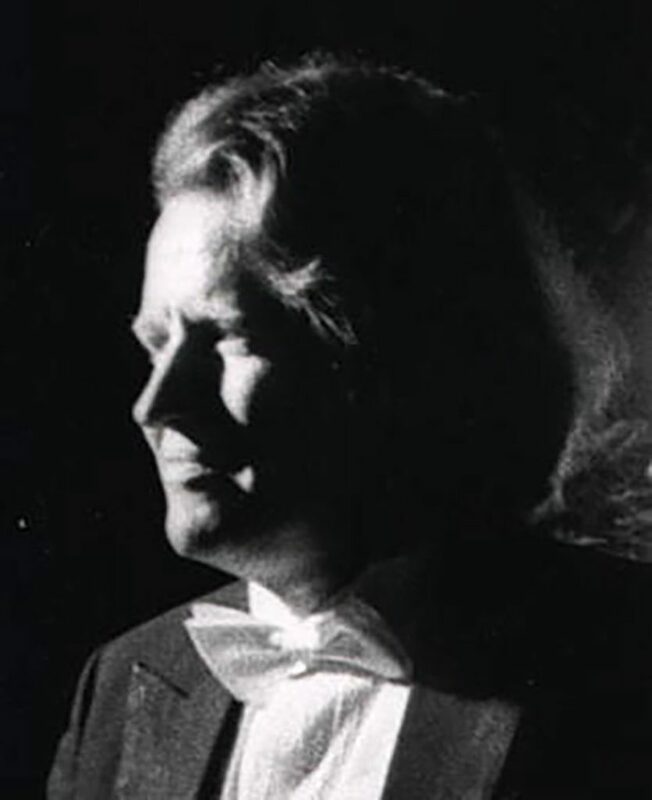 Guy Saint-Clair and his wife, Audrey Sanders, had a vision for an orchestra in Lake County, and now the Florida Lakes Symphony Orchestra is ending its 14th season with a tribute to Guy, whose untimely death in 2010 was an incalculable loss. However, Audrey has continued as the executive director and plans all the performances each season. 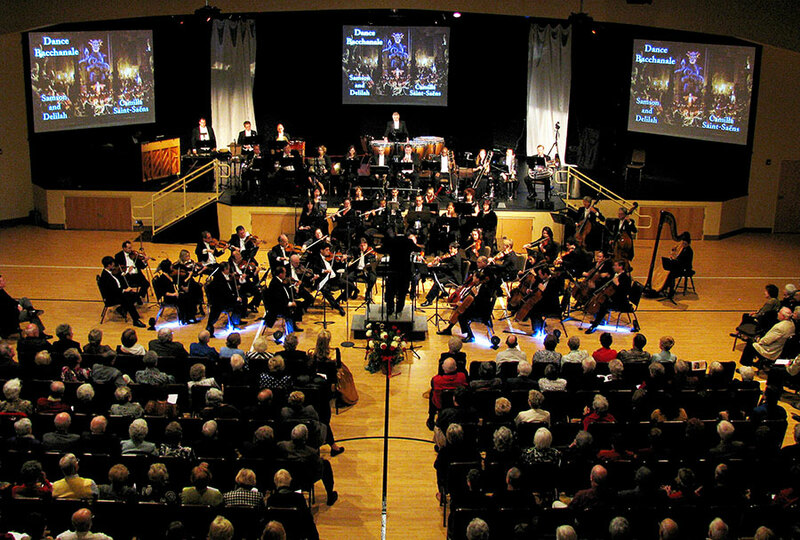 The orchestra’s first season was in 2005, and since it was the first professional symphony orchestra in the area, the reception from residents was warm and welcoming. Musicians come from Tampa, Jacksonville, Orlando, and all over the world to play with the orchestra. Guy’s career as an international classical concert pianist took him to many venues and created a circle of friends worldwide. 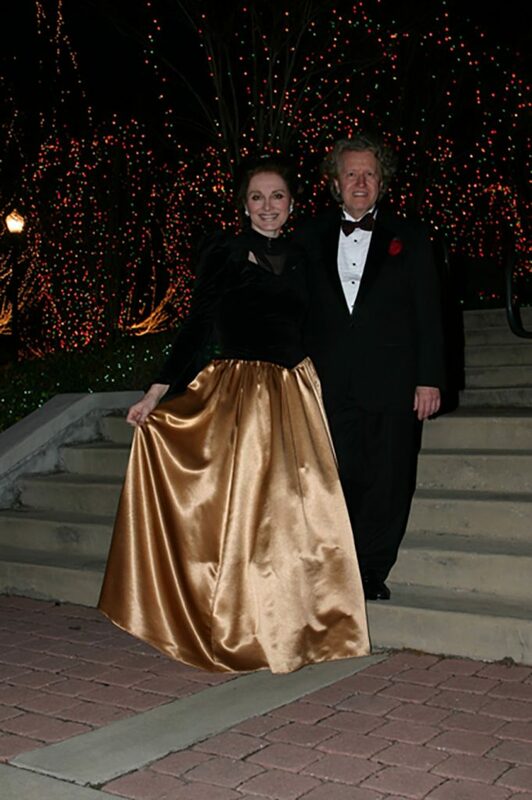 The couple made their home in Lake County after living in Europe for years and established the Florida Lake Orchestra the first year they were in Lake. “Ballade in Blue” will be presented April 25, which is Guy’s birthday, at Epiphany Celebration Anglican Church in Eustis and the next night at Family Christian Center in Clermont. Performances have always been at two locations to cover Lake County’s size. Maestro Michael J. Garasi was principal conductor from 2006-2014. The orchestra’s second decade has featured a series of guest conductors from around the world. Since 2006, the orchestra has been anchored by virtuoso Bulgarian violinist Konstantin Dimitrov, who is concert master and violin soloist. A child prodigy, Guy began composing and playing at the age of 3 and performed with an orchestra using a pseudonym at the age of 5. A consummate musician, he eventually earned three doctorates in France, Germany, and Switzerland. “He was the most modest man you can ever meet, just gentle and sweet,” Audrey says. 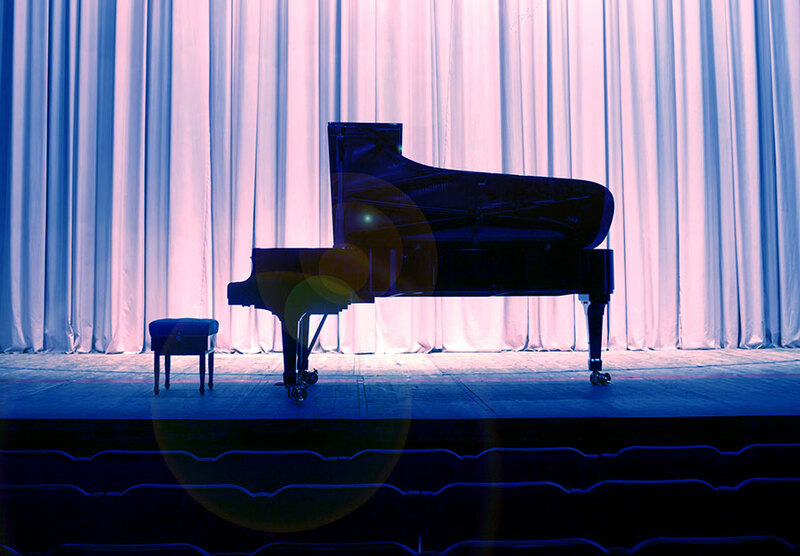 Guy, 65, died on the eve of a performance, his “Indigo Dreaming” concert. The orchestra still performed though the piano was silent and adorned with a spray of flowers. That attention to detail and need to keep classical concerts in the area were behind Audrey’s drive to use her husband’s music and arrangements for this special concert. Audrey says the tribute to her late husband is very special. “It’s so nice to have his friends come and share this experience, making it even more special,” she says. What: The Florida Lakes Symphony Orchestra will perform “Ballade in Blue,” the gala season finale and a tribute to co-founder Guy Saint-Clair. When and Where: April 25 at Epiphany Celebration Anglican Church, 1724 S. Bay St., Eustis, and April 26 at Family Christian Center, 2500 S. U.S. Highway 27. Tickets: See floridalakessymphonyorchestra.com for tickets and information.